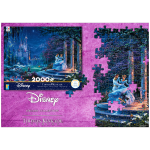 Disney’s Cinderella tells a wonderful story of compassion, love and ‘happily ever after’. 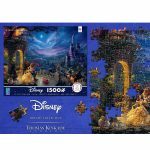 Thomas Kinkade Studios vividly colorful painting Cinderella Dancing in the Starlight is now available in a 2000 piece puzzle by @ceacopuzzles. 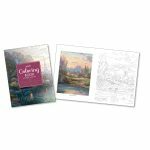 Perfect for cold winter afternoons in front of the fireplace, Andrews McMeel Universal’s coloring book features Thomas Kinkade Studios’ most popular paintings. 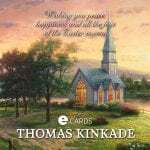 Disney’s Mickey and Minnie Sweetheart Café by Thomas Kinkade Studios is featured in a vibrantly printed poly/cotton garden flag by @Flagology. Flag stand sold separately.